Crisis can knock us down but it doesn't have to shut us down forever. With Jesus, we can face them with courage and hope. With Jesus, we can come back even stronger than ever! 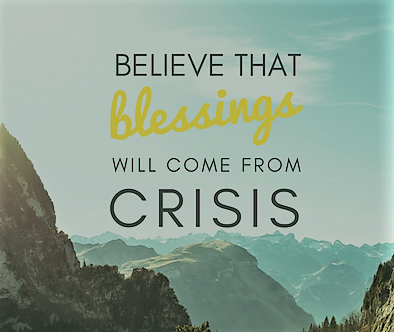 With Jesus, crisis can bring out the best in us. The Chinese use brush strokes that paint words with deeper meanings. Known for its beauty, grace, and history, the technique for this type of writing dates back to the time of the Yellow Emperor, which was at least four thousand years ago. Using this technique, the word crisis combines images of danger and opportunity. Everyone will experience a crisis at one time or another. In a crisis you face dangers, disappointments, or losses, but when you overcome the problems, you will find the hope of new opportunities. That hope comes from the knowledge that God will help you in a time of trouble, and He promises to deliver you. Let a crisis bring out the best in you. The deadly coup attempt in July 15, 2016 marked a monumental turning point in Turkey's political history. when a section of the Turkish military launched a coordinated operation in several major cities to topple the government and unseat President Recep Tayyip Erdogan. 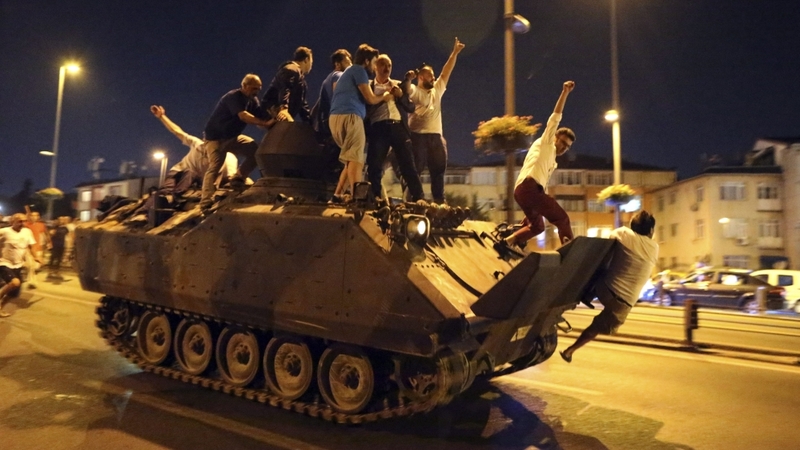 Soldiers and tanks took to the streets and a number of explosions rang out in Ankara and Istanbul. But as news of the coup attempt spread via social media, thousands of ordinary citizens, armed with nothing more than kitchen utensils, gathered in streets and squares around Anatolia to oppose the coup and later the coup failed leaving 241 people dead and 2,194 others were injured. President Recep Erdogan turn the crisis to his own fortune by cutting more power to the presidency. The ability of universities to elect their own rectors was also abolished. Erdogan will now directly appoint nominees. Crisis allows you to become courageous and an overcomer. You will learn from new experiences that may be painful. As you focus on solutions, which come from God, you will discover you are stronger than you thought. Believe that blessings will come from a crisis. Dear God, thank You for new opportunities that are born in a crisis. Allow me to face them courageously because You are with me. Amen.